J J Alpha Masonry Corp. Comment: I would like to get an estimate for installing pavers beneath my deck where there is currently only grass. Comment: old detached garage, cars do not use.. would like to repair / replace large cracks in "driveway" and reduce to about 4 ft long for more of a small ramp. Comment: I am looking to install a patio off of my back door, with a possibly a walk way. Currently the space is empty. Edgewater Concrete Contractors are rated 4.66 out of 5 based on 1,580 reviews of 54 pros. 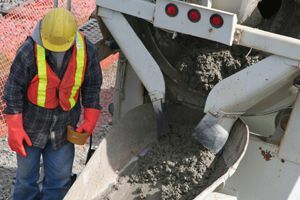 Not Looking for Concrete Contractors in Edgewater, MD?